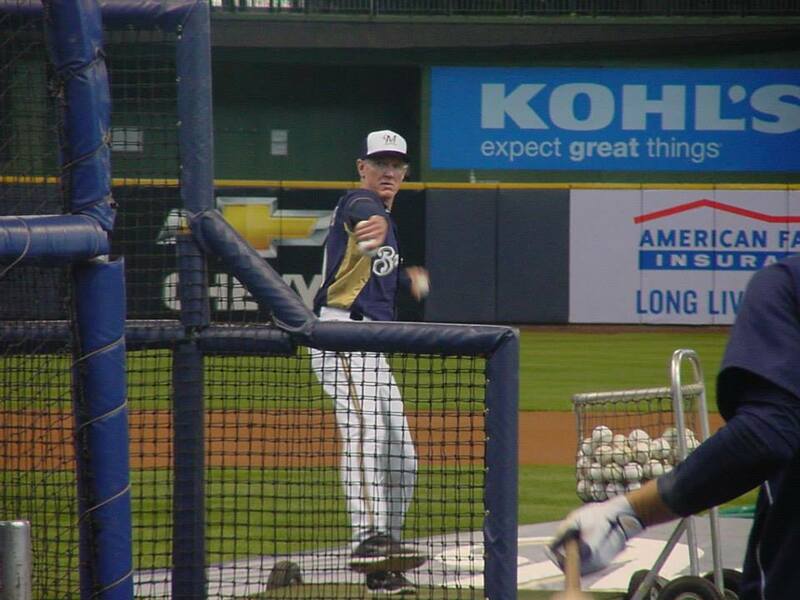 The Milwaukee Brewers announced they’ve picked up the 2016 contract option for manager Ron Roenicke. Under Roenicke, the Brewers offense collapsed in the final month last season. 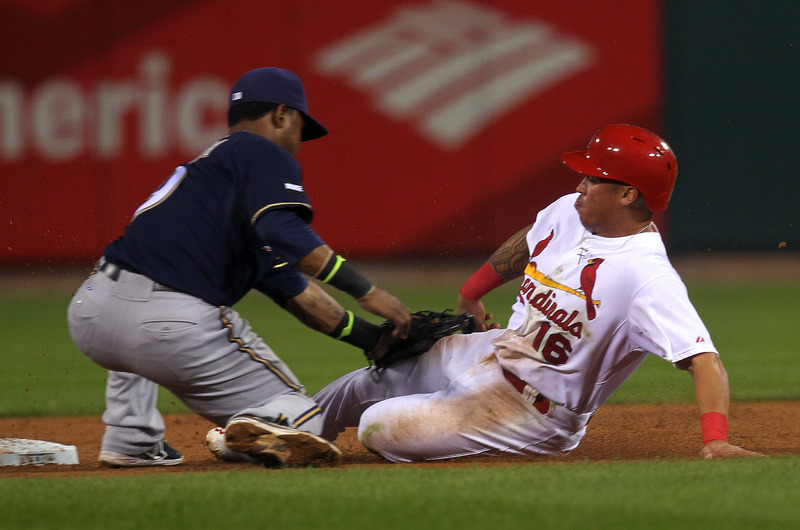 After spending five months in first place, the Brewers missed the playoffs with a 9-22 finish. General Manager Doug Melvin is in the final year of his contract, but he said he felt it was more essential to extend Roenicke than worry about his own status at this time. Melvin didn’t want a lame-duck status to become a distraction for the Brewers. In four seasons in Milwaukee, Roenicke is 335-313. They reached the playoffs in 2011 when they won the NL Central and advanced to the NLCS where they were eliminated by the St. Louis Cardinals. 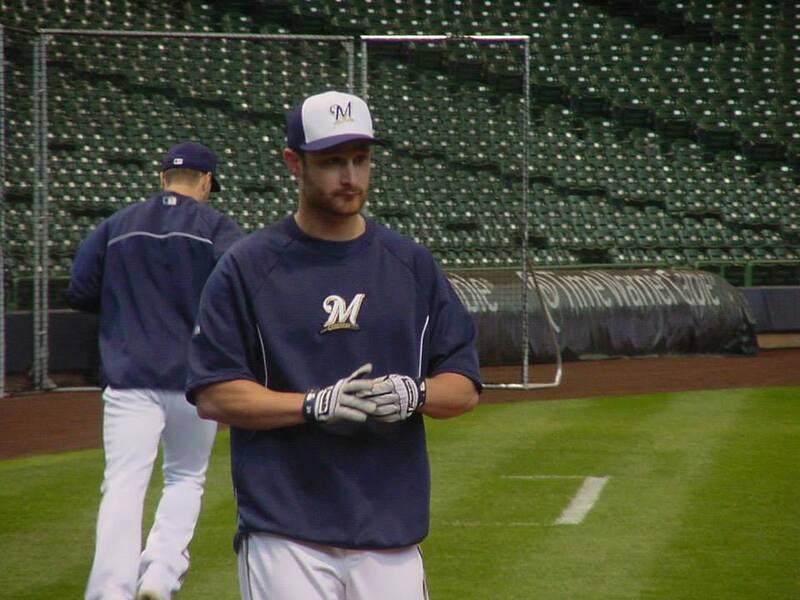 Milwaukee Brewers catcher Jonathan Lucroy is scheduled to see his first action of the spring in minor-league intrasquad games on Thursday and Friday. Manager Ron Roenicke said Lucroy is at a point where he can run, which is what he’ll need to do if he gets a hit. Lucroy has been taking part in all drill work, except running. He’s hoping to be back playing in big league camp by this time next week. Lucroy said he’ll see how things go. He wants to get comfortable and get through any feeling of tightness. Once he’s convinced there will be no chance of re-injury, then he’ll get back to major league camp and get after it. Milwaukee Brewers shortstop Jean Segura hit .319 with a .364 on-base percentage last September. Segura is trying to put everything that happened before than behind him. 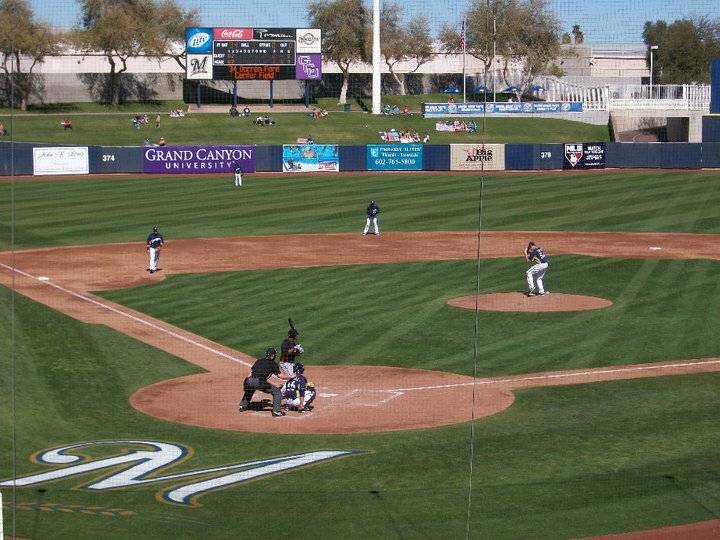 Segura, who arrived in Arizona on Tuesday, finished his second season with the Brewers with a .246 average, five homers, 31 RBI, 20 steals and a .289 on-base percentage. He’s hoping to return to the form of his first season with the Brewers. The Milwaukee Brewers will retain the services of manager Ron Roenicke in 2015, but two of Roenicke’s coaches will not be back. Brewers general manager Doug Melvin said he didn’t think Roenicke was ever in jeopardy of losing his job, but there were some key issues that needed to be discussed, including the reasons for the Brewers late season collapse that saw them miss the playoffs. Roenicke is under contract through 2015 and there’s a club option for 2016 as well. The Brewers opted to part company with hitting coach Johnny Narron and first base/infield coach Garth Iorg. 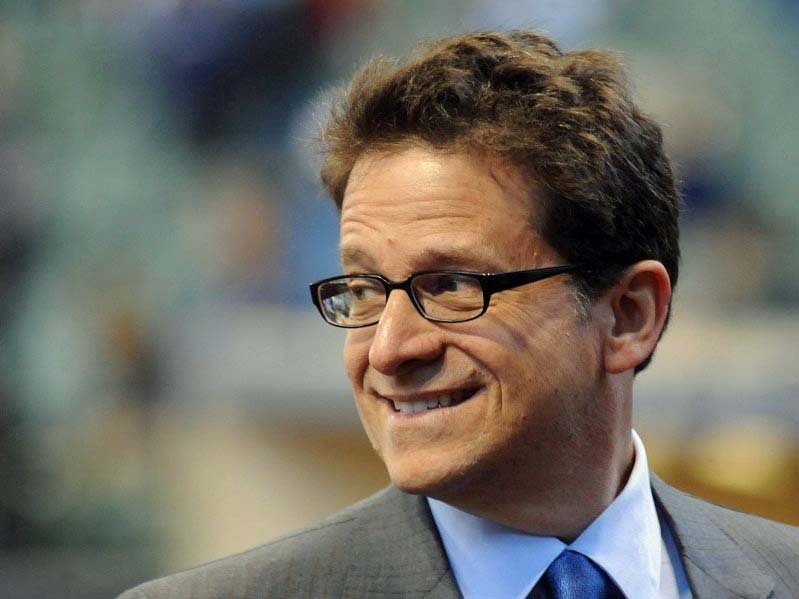 Milwaukee Brewers principal owner Mark Attanasio and general manager Doug Melvin are meeting this week in Los Angeles to decide manager Ron Roenicke’s fate. For 150 days, Roenicke had his team in first place atop the National League Central. Then came the massive meltdown that saw the Brewers go 9-22 down the stretch to fall out of the National League playoff picture. The Brewers jumped out to a surprising 20-7 start, but down the stretch, they failed to hit home runs, swinging the bat too freely, which opposing pitchers took advantage of. They had multiple base running mistakes that continued to take their toll. If Ron Roenicke addressed those issues with his players, nobody knew about it. The perception is that Roenicke allowed the mistakes to pass, believing instead that the players couldn’t be changed. The Brewers poor offensive finish will likely cost hitting coach Johnny Narron his job, even if Roenicke stays. Milwaukee Brewers general manager Doug Melvin is expected to meet next week in California with team owner Mark Attanasio to discuss Ron Roenicke’s future with the team. According to the Milwaukee Journal Sentinel, Melvin will travel to Colorado Springs this week to meet with officials from the Brewers’ new Class AAA affiliate and then on to Phoenix to monitor the team’s instructional camp. He’ll then go to Los Angeles to meet next week with Attanasio. Roenicke reportedly lives close to Los Angeles and has been told to keep time open next week to meet with Melvin and Attanasio. Roenicke should know at that time just where he stands. Roenicke is under contract for the 2015 season, but whether or not he spends it on the bench remains to be seen. The Brewers went 9-22 after August 25th, going from first place in the National League Central all the way out of the playoff picture. They ended their season Sunday with a 82-80 record. Melvin told Tom Haudricourt of the Journal Sentinel, “Nothing is going to happen this week. The best thing is to let the emotions settle down and sit down and evaluate it. Milwaukee Brewers owner Mark Attanasio announced Saturday that the teams general manager, Doug Melvin, would return in 2015. 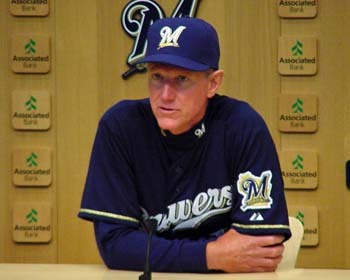 There’s no word on manager Ron Roenicke or members of his coaching staff. Attanasio addressed reporters in front of the Brewers dugout on Saturday at Miller Park. The Brewers owner certainly wasn’t happy after watching his team go from a certain playoff team to one that fell out of the playoffs in just over a month. General manager Doug Melvin came away with his job still in tact. Whether or not Ron Roenicke will be on the bench in 2015 remains to be seen. Melvin said there’s no timetable for those decisions to be made. Melvin plans to address all areas of the team, including the players. The Milwaukee Brewers climbed back to within 3 1/2 games of the Pittsburgh Pirates for the final National League wild card spot by blanking the Pirates 1-0 on Saturday night at PNC Park in Pittsburgh. The Brewers didn’t score the game winner until a sacrifice fly in the top of the 9th. Matt Garza hit Andrew McCutchen in the third inning and Pittsburgh’s Edinson Volquez responded in the fourth by throwing way inside to Ryan Braun leading off the fourth. Both benches were warned at that point. So when Garza hit McCutchen again in the fifth inning, he was ejected from the game. So was his manager Ron Roenicke. Six Brewers relievers kept the Pirates off the scoreboard after Garza’s ejection. Logan Schafer then delivered a sacrifice fly to left to give the Brewers the win. Francisco Rodriguez worked a perfect bottom of the ninth to notch his 43rd save and 347th of his career, which ties him for 10th on the all-time list with Randy Myers. The Brewers and Pirates close out the series today. Wily Peralta (16-10, 3.70) pitches for the Brewers. Vance Worley (7-4, 3.18) goes for Pittsburgh. Miami slugger Giancarlo Stanton clubbed his NL-leading 37th home run of the season, tying the Marlins record for career home runs and the Marlins went on to beat the Milwaukee Brewers 6-4 on Monday night at Miller Park. Stanton also added to his league leading rbi total, which is now 105. He matched Dan Uggla’s team home run mark of 154. Yovani Gallardo allowed three home runs in all and made it through just 3 2/3 innings in taking the loss. Gallardo fell to 8-9 on the season with the loss. St. Louis and Pittsburgh both won, which means the Cardinals lead on the Brewers is now six games for the division lead. The Pirates are also in front of the Brewers by 1 1/2 games for the final NL Wild Card spot.